When it comes to your home, you should never settle for anything less than the best. The quality of the work that is carried out will have a direct impact on your life for years to come, so choosing the best builders for the job is extremely important. There are a wide variety of factors that should influence your decision when you are trying to choose the right builders for your project. 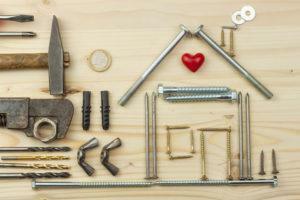 Here is how to choose the right builders for your project in Cork. If your project is in Cork, you should choose a construction company that is also located in Cork and has a history of completing building projects on time and to a very high standard in the area. Being able to get in touch with a builder quickly and easily is very important. Over the course of a new build or an extension, you will probably have a few questions that you need answered or some changes you want to make along the way. If you can’t seem to get through to them or they don’t get back to you quickly, it can add a lot of unnecessary stress to the build. Another important factor when choosing the right builder for your project is their portfolio. This should always be something that is readily available to you when dealing with any reputable builder. This a fantastic way to get a feel for their work and the type of projects they excel at. If there is no portfolio made available then you should keep looking for the right builder. If you’re building a new home, an extension or completing some renovation work you should always choose a construction company that has an in house architect or architecture team. Being able to change plans and cost things completely in house can save you a substantial amount of money. Also having the builder and architect working closely together can often allow them to team up and come up with creative ways to keep your project within budget while still delivering on key aspects of the build. The reputation of a construction company can really be what sets it apart from their competition. Google any companies you are considering and take a look at their reviews. What their past clients have to say about their experience and the quality of work that was carried out is just about the best indicator of how you will be treated as one of their clients. 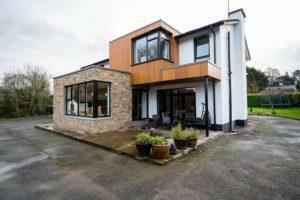 When you’re choosing a builder for your project in Cork you should consider choosing a company with a good history of projects in the area, is easy to contact when you need them, has a great portfolio of past projects, has an in house architect and had a fantastic reputation with their clients. Book your design and build consultation now by visiting us online or by calling us on 021-436-5866.